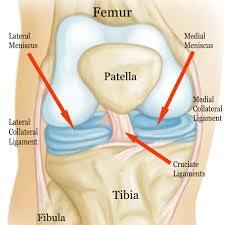 Many patients come into our office with knee pain. While patients with severe meniscus and ACL tears might need surgical intervention, sometimes knee pain is caused by muscular imbalances. These imbalances, such as the iliotibial band syndrome, can be relieved by conservative chiropractic care. The iliotibial band helps stabilize the knee as we flex, extend, or bend our joint. This band runs outside the thigh, from the hip joints to the shin bone, as well as crossing both joints. Overuse and stress of this area causes iliotibial band syndrome. The multitude of variables that can lead to an increase in stress and eventual injury of structures related to the iliotibial band further complicate the situation. Numerous structures influence the tension on the iliotibial track. If left untreated, problems can lead to traction irritation of the distal attachment on the knee or frictional irritation over the lateral knee tubercle, causing pain. One of the main contributing factors leading to iliotibial band syndrome is when there is too much adduction during gait due to overuse of adductors and weak hip abductors. This also increases the valgus stress on the knee during midstance, which leads to torsional strain on the intra-articular components of the knee. The valgus strain on the knee during midstance increases the origin to insertion distance of the iliotibial track, which increases the insertional tension and friction created over the lateral tubercle. (Jardine, Dynamic Chiropractic) Treatments for such conditions include articular chiropractic adjustments, as well as localized soft-tissue work on the gluteus medius, vastus lateralis, biceps femoris and quadratus femoris and other local areas. Corrective strengthening exercises targeting motor control of the core with an emphasis on hip and ankle stability work quite well when dealing with chronic iliotibial band syndrome.